The MYRTLE SOCIAL WELFARE NETWORK with the support of UNICEF had organized 100 Muppet shows for the children in Nagapattinam, Cuddalore and Kanyakumari Districts who are affected by tsunami. These shows are designed so as to help the children combat stress and depression. The show aims to restore normalcy in the lives of the children. The Muppets were used as effective medium to enable the children to voice out their feelings and to restore their hopes that was washed away by the Tsunami. Myrtle is supported by thousands of volunteers who are a core part of our team, Voluneter with us and make a difference, Join Now! You can bring hope to under privileged families and childrens, by making a small contribution, that will help them provide long-term change. Mr. Md. Farooqui who is being part of the eVidya – Computer Project training based at MYRTLE Perambur Centre. 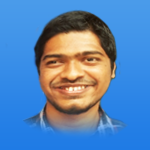 He is the first child in the family and differently abled person with lot of energy and fun loving. His father is working in a factory, mom is housewife and his sister is still studying. Income wasn’t sufficient enough to meet the ongoing financial requirement of a family. Income wasn’t sufficient enough to meet the ongoing financial requirement of a family. Mom falls sick regularly and constantly worried about Mr. Mohammed Farooqui’s future and career. Ms.Rajeshwari,I.T.I aged 22 years from Tamil medium background stepped into e vidya on 2015 with a lot of hope and dreams about her life. Her father is a drunkard and jobless. Mother is the only bread winner of the family and toiled to feed 3 daughters. She completed the training successfully and realized the value of life and she could see tremendous transformation in her life. At present she became an extrovert and good in public speaking. She is bold enough to face interviews and also the challenges of her daily life. 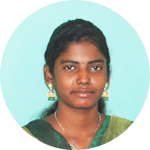 I live in solakollai tribal village, Tiruvallur district, Tamilnadu, I studied upto 8 th std only. 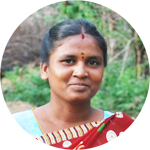 Myrtle Social Welfare Network programmes empowered me to become a teacher to teach children in my community. With the support of MYRTLE I have been an instrumental to form a selfhelp group and making candle business successfully now. The course encouraged him to be bold and built his confidence to face the society. Now he has become a small entrepreneur of selling paper products. Myrtle Social Welfare Network is a Public Charitable Trust has been working in India for the development of the under privileged community since 2003. Chennai - 600 011, India.